The D.C.-based Fund for Peace put out its new “Fragile States Index” and, well, things could be worse. Culling through thousands of media reports from around the world to measure a range of social, economic, and political pressures, the group rated the fragility of 178 countries—giving each one of them a score. (The higher the score the less fragile the country.) 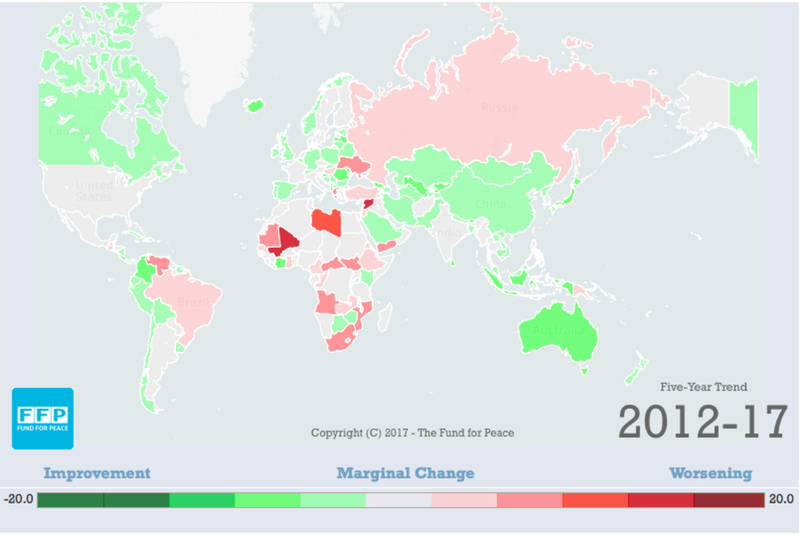 Each country also gets an individual dashboard that lets you sort through the data, look at indicators, and see whether countries are getting better or worse. The United States scored slightly worse this year compared to last year (35.6 vs 34). Some countries that were noted as “most worsened” include Mexico, Turkey, and Ethiopia. Check out the full index here.